As I mentioned in my last post, I spent this past weekend at the Advance Conference learning from pastors who are older and wiser about how to breathe new life into the Church. What was ironic about the timing of this conference was that it came on the heels of a related conversation I had with Sherry Surratt, wife of Seacoast Pastor Greg Surratt (Seacoast is a church based in Charleston, SC with almost a dozen satellite campuses in South Carolina, North Carolina and Georgia). 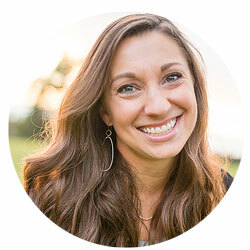 Sherry not only serves on staff at Seacoast, but she is the Director of Women’s Initiatives in Leadership for Leadership Network, and she spends a lot of her time networking with women all over the country who serve in women’s ministry. Sherry’s findings about the lack of church emphasis on women’s ministry were further validated by a survey taken by Revive Our Hearts. The survey polled nearly 1,000 Women’s Ministry Directors and women serving in women’s ministry. Of the women polled, only a third of them possessed the official title of “Women’s Ministry Director,” and of those women only 15% were actually paid by a church. 84% of the actual Women’s Ministry Directors served in a volunteer capacity and were not on church payroll. Given that budgets reflect priorities, this statistic is telling. As a woman in ministry, these findings are not surprising. Women graduating from seminary who are seeking to serve at evangelical churches will be hard pressed to find jobs outside the realm of counseling and children’s ministry. Most churches aren’t paying women to lead women. So these findings beg the question: Given that women constitute one half of the Church, why is women’s ministry so low on the totem pole? Although there are many reasons for this, I am going to highlight two in particular. The first reflects a concern that is frequently voiced by women. The second reflects a perspective that I have mostly heard from men. Both perspectives are actually quite legitimate. 1. Women’s Ministry is Becoming Irrelevant–In the Revive Our Hearts survey, the results found that only 41% of Women’s Ministry Directors had completed a college degree, and only 1% had attained a seminary degree. While Jesus’ disciples remind us that God doesn’t always call or need those with the highest education to lead His people, these statistics do have important implications for cultural relevancy. In a country where more and more women are seeking advanced degrees beyond their undergraduate education, and desire to dig into the meat of theology, women’s ministers have not always been fully equipped to reach them. This generational and educational divergence is also apparent when you stroll into a Christian bookstore. In the past, books for women have largely fallen into the categories of lifestyle and self-help, but more and more women today are looking to balance emotion with intellect. So while those genres will always have an audience somewhere and have indeed been a blessing to countless women around the world, young women are more likely to pick up a book by John Piper or Tim Keller than some of the well-known named female authors. As young ladies find women’s ministry resources lacking and instead turn to more general Christian authors for theological reflection, churches are following in kind. If women are no longer interested in women-specific resources, then why bother providing a women-specific ministry? 2. Women are Already Thriving On Their Own–At the Advance Conference Dr. Daniel Akin, President of Southeastern Baptist Theological Seminary, informed us that of all the single people on the mission field right now, 3/4 of them are women. This gender imbalance has been an on-going problem within the Church over the last decade. As the number of women going to seminary and serving on the mission field has increased, the number of men has seemed to simultaneously decrease. In response to this shift, evangelicals sounded the warning bell and have launched multiple efforts to reclaim manhood in the Church. We have seen a rise in “Wild at Heart” type books, and pastors like Mark Driscoll have spoken out against the feminization of the Church. And in order to drive the urgency home, the importance of male leadership has been elevated to a status of nearly dogmatic proportions. Male leadership has been touted as one of THE most crucial components of the Church. In light of these events, it would seem that women’s ministry is the LAST thing we need to work on. Given the increase of women attending seminary and going overseas, women seem to be doing just fine. If anything, it is the men who need the help. We need to push men harder and pour into them more intentionally so that they will step up and lead. Women are doing a great job on their own. These are just two of the main factors that have led to a noticeable shift away from women’s ministry within our churches. If you have been involved in women’s ministry, or if you’re just a woman in the church, I’m sure you can think of more. Feel free to offer your own thoughts! In my next post I am going to examine the potential blind spots in the above reasoning, and examine why the movement away from women’s ministry may be dangerously short-sighted. If you are one of my male readers, I encourage you to stick with me–while this may not seem immediately relevant to you, it impacts one half of the Body of which you are a part. If we are to fight this spiritual battle, then we better make sure half the army is ready for combat. Thanks for your research and thoughts on this important topic! I look forward to what else you have to say. I think one (maybe small) reason for the larger number of women attending seminary and going over seas is that the average marriage age is later. I graduated college, taught high school for a year, was still single and felt led to go to seminary. If I had married younger I’m sure my priorities would have been different. With more women still single in their twenties, they are freer to continue their education and be missionaries. I, like you, certainly don’t think this is a reason to do less women’s ministry! You know what…. I had never thought about this as an issue, but now that you bring it to attention it is! I would love a strong women’s ministry at my Church but there isn’t one. Really great high school, middle school, kids…. but then nothing more. I too am one of those Women’s Ministry Directors who are not on the payroll. I would love to go back to school and get my degree in Biblical Studies, but, let’s face it, there are not jobls paying for what I love doing, which is womens ministry! From my work with WM Leaders, the #1 thing affecting WM is lack of support from church leadership. WM Leaders are not paid, not invited to staff meetings w/ other ministry leaders, and most WM in our area don’t even get a budget… meaning they are self funded out of the pockets of the women who have answered the call to serve. WM has been siloed off, left to it’s own devices, tolerated but not invested in b/c it’s not taken seriously. WM Leaders that I know personally, who have been at it for years, are at the point of throwing in the towel and giving up b/c they just can’t fight for something that isn’t seen as a valuable ministry. So, they are leaving or at least giving up the try to make it more… and it’s just dying a slow death.